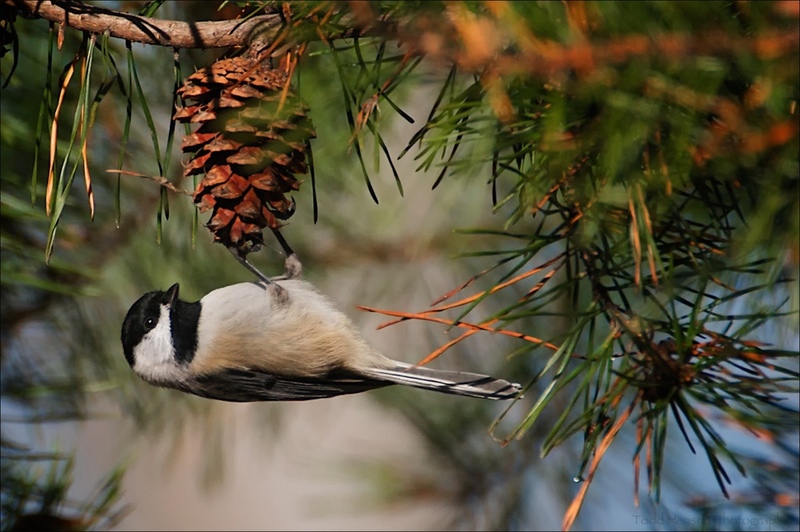 Even the most common of species, such as the Carolina Chickadee, can be fascinating to watch. I photographed this one for a while feeding on a pine cone one morning in November. It was a very persistent and agile bird.